My name is Henrik, and I’m an Early Adopter. I don’t see being an early adopter as part of a competition to be first with new stuff. I’m just curious and can’t help that I want to try out and learn new things all the time. And I don’t buy new things until I am convinced that they are useful to me. It is not an easy life being an early adopter, I don’t recommend it. An old wild west quote: “Pioneers are the ones with arrows in their backs!” And it is usually not the early adopters that make the money. But I am proud of having adopted several important trends very early and my gut feelings for applications and functions are often accurate, both for successes and lemons. Interactive media: I became a pioneer when I started the company Ahead Multimedia in 1988. Elearning: I created an international award-winning elearning program in 1991, and in 1999 I worked in the US with an online elearning portal about parenting. 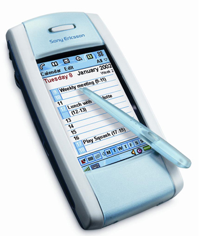 PDA’s and smartphones: I switched to digital calendars in 1993 and started enjoying mobile email on my Sony Ericsson P800 in 2002. The cloud: To me this is probably the most important shift in computing ever, moving from local files and applications that are locally stored in your computer to storing and running them online. I started using online word processing in 2005 and immediately felt that this was the future of easy and collaborative computing. 1986 My first Mac, a 512K, what a difference! Used it with PageMaker 1.0 to produce course materials about script writing and print them on my Laserwriter Plus. A SEK 100.000 investment that paid off! I had previously worked a lot with computers such as the Swedish Luxor ABC800. 1986 AppleLink This was Apples online service for dealers and developers. I got the user ID SW0101, where SW stood for Sweden and I used it a lot for computer support, to download software updates etc. But it was rather primitive and very expensive. 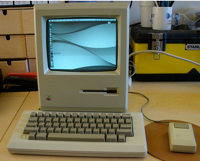 1988 Email Started using QuickMail on our office Macs. This was long before internet, so we could only email ourselves in our 8-people company. Visitors thought we we crazy: “Why don’t you just walk over and talk to each other?”. But I saw the benefits of asynchronous communication: I could email a text or a file to a colleague anytime and he/she could read it when it was suitable, I dd not have to interrupt people and I knew that they would see my messages. That was a very strange thing in those days! 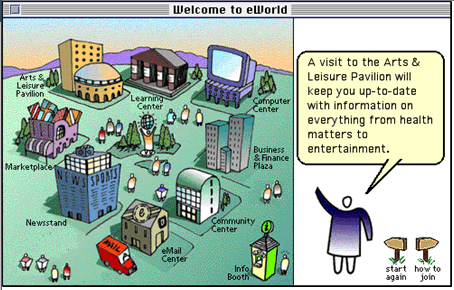 Eventually internet came, and we were all email savvy so we had an edge. 1988 CompuServe was the first major commercial online service in the US. I signed up for an account and liked being able to participate in online forums and downloading software updates etc. 1990 Mobile phone. I bought my first mobile phone, a brick-sized Ericsson Hotline NMT 450, it cost SEK 17.000 and the battery lasted for an hour or two, but it was good to be mobile! 1992 Philips CD-I Since my company Ahead Multimedia was a leading production house for interactive media, Philips approached me and pitched their new CD-I player. 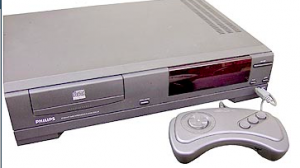 It was a proprietary CD format with added interactivity so Philips hoped it would be a success for games and interactive corporate presentations etc. After trying it for a few days I returned it, feeling that it was not going to work: Slow, proprietary and tied to a processor that would become obsolete, expensive and with primitive authoring tools. CD-I turned out to become a disaster för Philips. 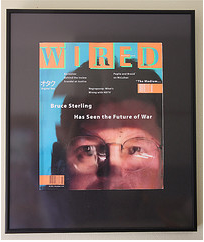 1993 I discovered an new type of magazine that attracted me at the London Design Museum. It was called Wired and wrote about technology and society in a new way. I have been a subscriber ever since. Here is the premiere issue from march 1993, still hanging on my kitchen wall. 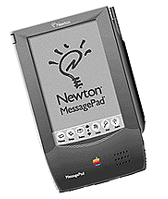 1993 Newton Messagepad. Bught it on the launch day Aug 2 at MacWorld expo in Boston. But already on the first day I saw its limitations and predicted it would not be a hit. 1994 Apple eWorld Apple’s first consumer online service was not a hit: I did not like the cumbersome user interface with a “town hall metaphor” that you had to navigate in and the childish graphics that required long download times and few people signed up for it. 1994 Flickr I have been a semi-professional stills photographer since my teens, so I immediately fell in love with Flickr when they launched. They made it so easy to share hi-resolution pictures with others, and quickly became a very inspiring place to browse great photography. I also fell for their friendly tongue-in-cheek texts. I am still a loyal Pro user, check out my pics here. 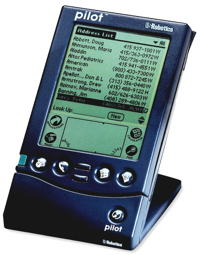 1996 Palm Pilot Professional, a revolutionary PDA at this time. An instant hit with me and it sure became a big success. I bought all the new versions as they came out until they stagnated in 2001. 1996 Pippin from Apple. We produced all our interactive presentations, games and elearning using Apple Macintosh computers, so Apple wanted us to start developing for their new multimedia platform Pippin. But I decided not to use it, since I felt that it was really just a rather primitive video game console with much better competitors. This was in Apple’s dark days when they where totally out of focus…. 1998 I used Groove Networks for some projects, an early online project management tool that was well executed but way before its time. They were later acquired by Microsoft and turned into Sharepoint workspace. But I loved my Palm V for a long time! 2000 Ericsson R320 The first WAP mobile, very slow and clumsy, I immediately realized that WAP was a terrible example of tech hype not based on usability. 2001 I tested online dating and predicted it would become big since I felt it was very time saving and efficient. Most people then thought it was a sign of total failure to use online dating, but only a few years later this became a global success. 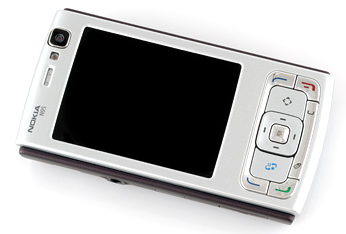 2002 Dec I bought Sony Ericsson P800 smartphone on its launch day, immediately liked having mobile email and a calendar that I could sync to my computer. 2003 Skype My immediate reaction when I tested Skype’s first public beta release in August 2003 was “this is going to disrupt the telecom industry”. And it certainly did! Did you know that their original name for Skype was “Sky peer-to-peer”? 2004 Feb I bought a Wayfinder GPS for my P800 and enjoyed having navigation in my pocket. 2005 May, Blogging, I started my blog here on alfabravo.com, first on Blogger, later moving to WordPress. I attended the first little community meeting for Swedish bloggers in 2005, where everybody had read all else’s blogs! 2005 June, discovered YouTube and felt that it was going to become a big hit since it was free and so easy to use. 2005 Aug, I started using the beta version of the online word processor application Writely. They were acquired by Google in March 2006 and transformed to Google Documents, which I have been using heavily ever since. 2005 Started using LinkedIn as a business networking tool, still use it every day. 2006 Joined Facebook in the summer and realised it would become very big, it felt like a smart and fun way to increase contact with friends and acquaintances. 2007 April, I bought a Nokia N95 on its launch day. Liked the integrated GPS and the camera. 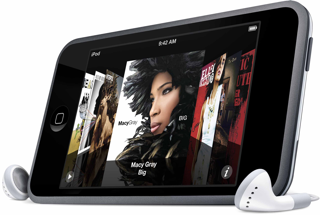 2007 Oct, I bought an iPod Touch, a milestone in mobile web surfing and video play. 2007 Started using Jaiku microblog before they were acquired by Google in Oct 2007. It is still the best microblog service I think, I am sorry that Google has neglected it. 2008 Started using Twitter and Bloggy microblogs. I have a strong feeling that microblogs will evolve quickly the next few years. We will hopefully laugh in 2012 at Twitter of 2010! 2008 Dropbox I was by then already hooked on cloud services, so Dropbox did not have a hard sell to me. I love simplicity, file management cannot be simpler than with Dropbox. Still use it everyday, both for personal backups and for project file sharing with team members. 2009 Google Wave There was a very big buzz in the online world when Google released Wave, it was labelled as the “next big thing”, “email killer” and lots of other hype. I was interested in the advanced interactive functionality, but foudn it complex to learn. So I organized a workshop with some like-minded early adopters where we tested through all the functions. Already after a few hours we all said to each other “this is going to be a flop”, we did not see much real beenfits and found it much to complex to use. And we were right, Wave flopped. July 2009 iPhone 3GS Since I had my iPod Touch I waited until the summer of 2009 when the iPhone 3GS was released. What a change from my Nokia N95! My mobile online life grew a lot with all the creative and useful apps. 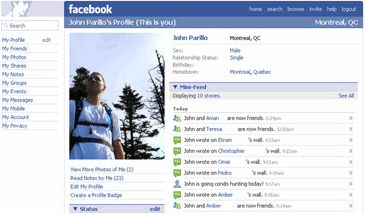 2009 Started using Foursquare and Gowalla, social online location based services for tracking your friends. I find it useful, for example by checking in at a café in the city other people in my network can see that I am there and I get spontaneous contacts this way. After testing for 6 months I skipped Gowalla since I find Foursqaure to be more business-oriented. 2010 April I bought my first iPad from the US, since I already from the news about it before the launch had a gut feeling that this is a very interesting new platform. After the first day with it I was hooked and I have since discovered many new ways to use it. I am now using my iPad 2 everyday, mostly at home but also during meetings, seminars and during travel. 2011 November I finally exchanged my 3GS to the new iPhone 4S when it was released. Not so much difference on the outside as many had hoped, but certainly a big leap forward in processing power and camera quality. But I find Siri to be the most interesting development. Siri is Apple’s new voice-command function, enabling you to both control your mobile and get information in a new way. I am even more convinced that this is a revolutionary new interface that will change the way we use mobiles when I hear all the skeptics that proclaim: “Siri is useless. I don’t see any benefit of using Siri. Stuff like Siri has been around for years” etc. These reactions always come up when something radical is emerging. Check out Apple’s demo of Siri for yourself. And I have a strong feeeling that all this is just the beginning. My comment in 2015: Yes, I was right about that! I have adopted so many new things since I wrote the above in 2011, will expand this post on a rainy day. This is still only the beginning! Martin: About Letsbuyit: It was marketed as the ultimate online store with the lowest prices due to cooperative buying. But I wanted to buy a Palm V, and on letsbuyit.com I was given a price interval, depending on the number of peopel that ordered it within a 2-week period. I did not like not knowing what the price would be and having to wait for weeks. By using Pricerunner search I quickly discovered that I could buy the Palm V at other online estores at a price slightly below the lowest price at Letsbuyit. And get it immediately! So then there was no benefit left for me of using Letsbuyit. This made me feel that the letsbuyit model would not become a huge success and the thin margins definitely did not justify spending so much investor money. Your post brought to a smile to my face and revoked memories. It is interesting that you write that it is not about being first, it is about curiosity. I agree to most of your statements, since I tested at least the mid part in the same order. I do not agree with “Let’s buy it” though, I did not see it’s fall immediately. I loved the service and was was disappointed when it did not work out. One of the few “browse-around-shopping-experiences” I really enjoyed on the net. I bought several products I had absolutely no clue that I wanted, like example a designed juice machine or a safety set for my car (with a foldable shovel, a mini axe and a super-sized maglite)! I have seen quite a few of those items in my possession myself. I really liked the Palm and was sad to see that it took them a long time to get mobile – and now I have lost the faith in the brand and don’t care about the product. I believe that we create a strong emotional bond to our things and services, and emotions are not rational. So I stuck to my palm a long time, tried to extend it’s life etc, I got the keyboard, and tried to make it work as my ultimate travel companion. but alas…. So basically, this calendar of sorts states that you started out a quite an early adopter, but then you have been beginning to lag behind? I mean, you still don’t have an iPony? And you’ve been arriving late to the party of Jaiku and Twitter. Another dimension is of course what perspective to have on early adopting: You bought the P800 on it’s launch day in 2002, but Nokia had better smartphones than that in its Communicator back in the Nineties. So, should one stick to brand or category?